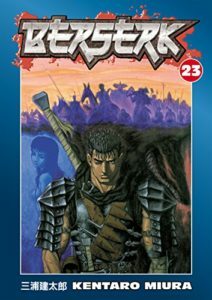 Though Guts and his companions have saved the village, the surviving trolls have carried off Casca and Farness. 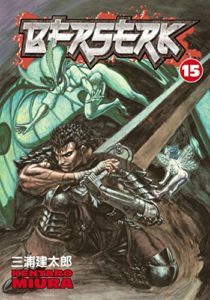 Fearing for his insane lover, Guts leads his small party into the trolls lair, a place of death and birth. In the depths, they will face horrors and discover what happens to the women kidnapped by the trolls. 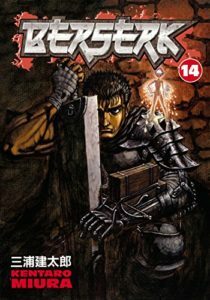 As Guts battles to save Casca, his rage and passion attracts unwanted attention. 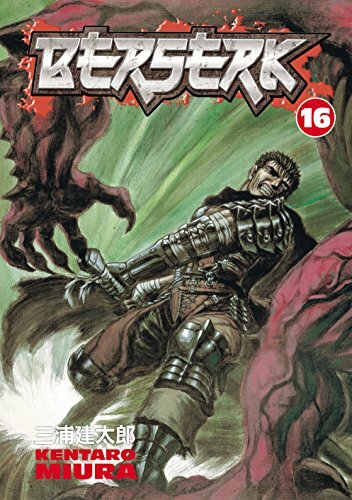 One of the Godhand comes. Drawn to the place where new life comes at the death of the mother, Slann rises. Promising temptation and death, will Guts be able to defeat her. Will he be able to resist her offer to make his own sacrifice? 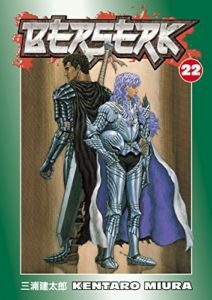 As Guts and his forces battle, Griffith has dispatched forces on their own mission. He cannot abide the interference of Schreike’s mistress. 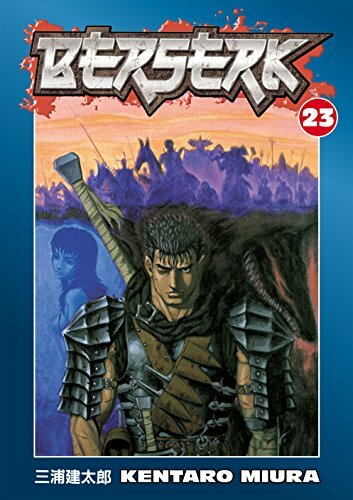 Even if Guts can win the day, will he have the strength to face what comes next? BERSERK explodes with action. 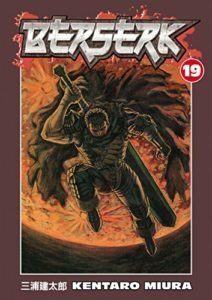 The story compels you forward through the desperate struggle to save Casca, to the manifest of the succubus Slann. 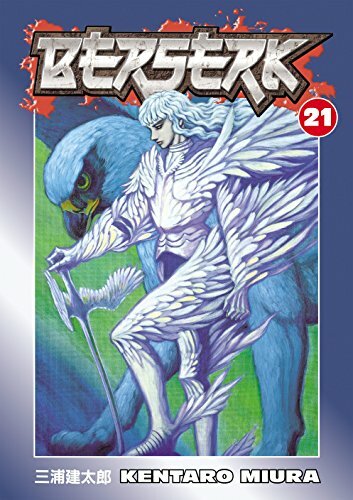 As the realities merge together, the Godhand can form bodies to appear. Hints at their true plan appear even as Guts is offered the same choice as Griffith. 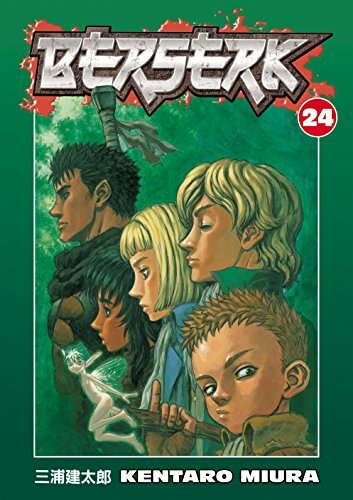 The art is gorgeous and revolting all at the same time. Mirua’s art manages to show sensuality birthed from obscenity. It perfectly captures the essence of Slann and the true nature of the Godhand. Griffith’s current form may be beautiful like he was before his sacrifice, but does that mean the soul inside him isn’t as revolting as the entrails from which Slann forms her body? The backstory peels back more and more in this volume. The action is intense. 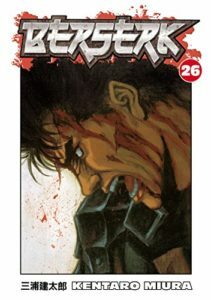 Never has Guts been weaker than this, battered and wounded from his scores of battle. How much longer can he continue to swing that massive sword of his? 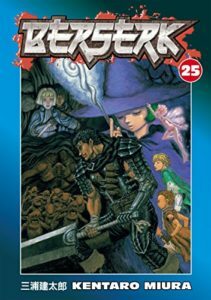 Fans of fantasy need to check out BERSERK! It is a deep and layered story. 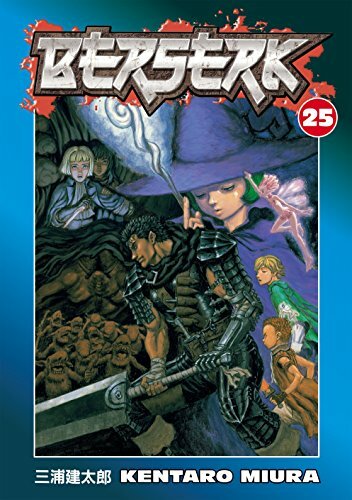 You can buy BERSERK Vol 26 from Amazon.